I’ve been a homeschooling mom for more than 20 years and I’ve graduated three students. I’ve adopted three children (and am in the process of adopting 4 more), so I’m starting completely over. The most best thing I’m doing this time around is not stressing out. We’ve used Sonlight for preschool and My Father’s World for early years. I also enjoy reading chapter books all together (in addition to library books). We’re having a lot of fun! My kids take this when they visit friends, too, so if something happens they have the info they need for medical care and emergency contacts. It has saved me a lot of time and hassle, and they love feeling grown up and responsible. Katie: I have had trouble “fitting in” all of the great science experiments and craft projects that I find, so I decided to make my kids responsible for them! My 10-year-old son is in charge of choosing and preparing a fun science experiment from my Pinterest board once a week, and my 8-year-old budding artist picks a craft project for her brothers. They get to be the teacher during that time and their siblings practice taking direction from them. It’s great! Melanie: Keep a huge box of plastic sheet protectors. They turn any worksheet into dry erase instantly. Saves tons of printing especially if you have more than one child. Teth: As for me and my daughter, we’ve just started homeschooling this year; she is in the second grade. One of our daily things we love doing together is our Thankful Journal. Everyday, we write down at least 3 things we are thankful for from that day. We do this at night, but we share them in the morning at the beginning of class. I feel like it gives her awareness of what blessings she’s has, and it makes her think about these things throughout the day so she can remember them when it’s time to write them down. Becky: We have been homeschooling for 16 years. I have graduated one, I have one in high school and one doing third grade. The best thing I’ve learned is when they are having a problem with a subject for them to be the teacher and teach me and they find they know more than they actually think. Jillian: Something my kids like to do is go through my cookbooks. They write their names on post-its and place them on a recipe they want to do. My daughter is six, so I help her when necessary, but let her do the things she can. My 9-year-old will do things like read the ingredients and instructions and I help with technique, etc. You can take a picture of them with their creation and put it in a photo album or even make a favorites cookbook. Wanda: The kids *love* having a daily checklist (which includes independent work, getting ready for the day, and chores) which they can cruise through at their own pace. My middle child loves to get up early and get work done asap, while the youngest takes his time and gives himself lots of play time. They all know they get their free screen time when their work is finished. They each learn responsibility as they set their own pace. It has worked so well! Looking for more great homeschooling ideas? 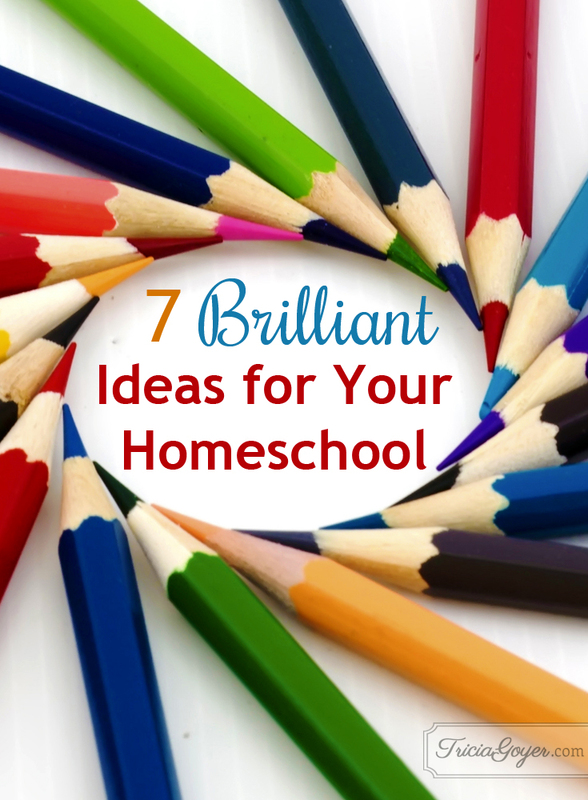 Check out this post: 8 Genius Ideas for Your Homeschool! How about you? What are your ideas for homeschooling?